Professor Judith Petts, Dean of the Faculty of Social, Human and Mathematical Sciences at the University of Southampton, has been awarded a CBE in the New Year's Honours list. 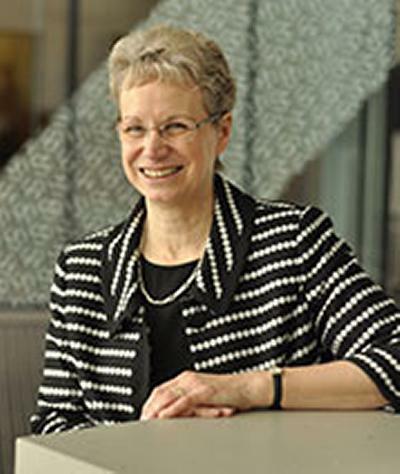 Professor Judith Petts joined the University of Southampton in the position of Dean in October 2010, having previously held the position of Pro-Vice-Chancellor, Research and Knowledge Transfer at the University of Birmingham. Professor Petts’ background is as a human geographer and, over a period of 30 years, she has made important research contributions in the broad area of environmental risk management. She has worked in the contexts of waste management, land contamination, natural hazards, climate change, and health risks. Professor Petts has undertaken extensive policy advisory and consultancy work, nationally and internationally, including in the UK for the Environment Agency; Department of Health; Health and Safety Executive; Department for Business Innovation and Skills; Department for Environment, Food and Rural Affairs (Defra) and both House of Commons and House of Lords committees. She is a member of Defra’s Science Advisory Council, and the Government’s Sciencewise Expert Resource Centre steering group. She was a member of the Royal Commission on Environmental Pollution (2005-2011), and a member of the Natural Environment and Research Council (2000-2006).